David Harwood is Professor and Stout Chair in Stratigraphy in the Department of Earth & Atmospheric Sciences, as well as the Director of the Antarctic Science Management Office at the University of Nebraska – Lincoln. Learn more about his path to becoming a SALSA Principal Investigator and working in Antarctica. David is a professor of geology at the University of Nebraska-Lincoln (UNL), and teaches a course called “Frontiers of Antarctic Geosciences”. He will be headed home to teach that class at the end of SALSA science and drilling operations. David’s research focus is in diatom micropaleontology: he studies the fossil remains of one-celled algae that produce a glassy ‘shell’. Diatoms provide information on the age of sediments and environmental conditions at the time when these fossils lived. David Harwood poses for a photo in a Pisten Bully in Antarctica. David wears several hats in for SALSA and works hard to keep the research effort up and running. He is a member of the sediments research team, also manages the financial and business side of the UNL Hot Water Drilling Team and the SCINI ROV Team. David’s early research in Antarctica was as a field geologist in the Transantarctic Mountains, but more recently was the U.S. 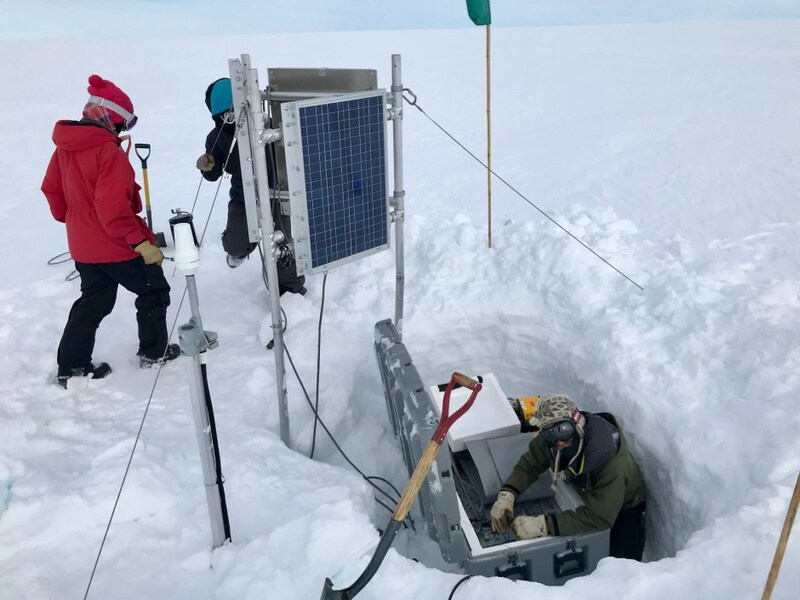 Principal Investigator of the ANDRILL Project (Antarctic Geological Drilling), which drilled several deep holes to recover sediment cores in the McMurdo Sound area. David poses for a photo at Mercer Subglacial Lake. David teaches a geology course about Antarctica and gives many presentations to schools and civic groups about Antarctica and Climate Change Science. He explains that the two main messages are: (1) Antarctica has a long history of environmental change that can be interpreted very well from the rock and fossil record, and (2) that measurements of atmospheric CO2 and temperature change available in the long ice-core records drilled from the tops of the East and West Antarctic Ice Sheets provide us with a remarkable understanding of natural rates and size of Climate Change in the past, and that we are presently well outside of the range and rate of natural climate variability.